Nearly 32 out of the 57 members in the UPFA-controlled Central Provincial Council today handed over affidavits to Governor Surangani Ellawala requesting that Chief Minister Sarath Ekanayake be removed and UPFA councillor Thilina Bandara Tennakoon to the post. The group of Provincial Councilors, including Tennakoon and Opposition Leader Ranjith Aluwihare, visited the Governor’s Office this morning and handed over the affidavits. Speaking to reporters afterwards, Tennakoon stated that the Governor should consider the request and take a correct decision. 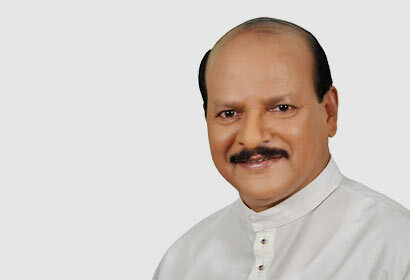 The UPFA Provincial Councilor stated that he has the backing of 15 opposition councilors and that when similar affidavits were submitted on a previous occasion, no steps had been taken due to the removal of Tikiri Kobbekaduwa from the post of Governor.